Having put a brave face on the announcements at the time, the schemes have had to make savings – jobs have been lost, one branch in Amber Valley has closed completely, procedures have changed to save money and major new fundraising initiatives have been started. 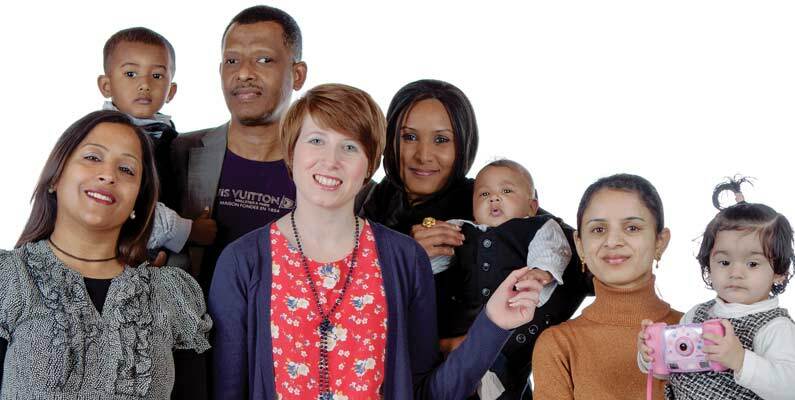 But now there is genuine optimism for the future of the invaluable service right across Derbyshire as Anthea Murphy, Senior Coordinator at Home-Start High Peak, based in Buxton, explains. “Despite the funding cuts, we were all desperate to continue supporting families and with the backing of our staff and trustees and the generous support of volunteers we have managed to keep the service running without too much disruption. We helped over 50 families in 2014 which means more than 100 children will have had a better start in life than may otherwise have been the case. And we intend to keep going. Each local Home-Start is self-funded and, with demand for the support the charity provides increasing year on year, there is always a need to raise funds through grants, individual and corporate donations. And that’s where a bit of innovative thinking comes in. “We are looking at how we can work with local businesses to provide paid for seminars on issues such as domestic abuse for staff. We are working with the local University campus to explore some group events and we are trying to create projects that will benefit local communities to be funded by people in those communities. We are considering expanding the area we serve to the north and east of the county, but only if we can generate the funding to do so. And we are investigating how we can deliver highly specialised support where things like school readiness and good nutrition are concerned. One thing’s for sure, there’s no shortage of vulnerable families – parents and children – out there for us to support.